Here we have the most common type of multipoint door lock operation. You lift the lever to engage the locking points and turn the key. This stops the handle from being depressed and disengaging the locking points. Unlocking the key cylinder, enables the handle to be depressed. This disengages the locking points then pushing the handle down also releases the latch to allow the door to open. Shootbolt extensions are added to the top and bottom for security and compression, the slave door is secured using fingerbolts. The table below gives the size ranges possible using the relevant size shootbolt extension at the top. 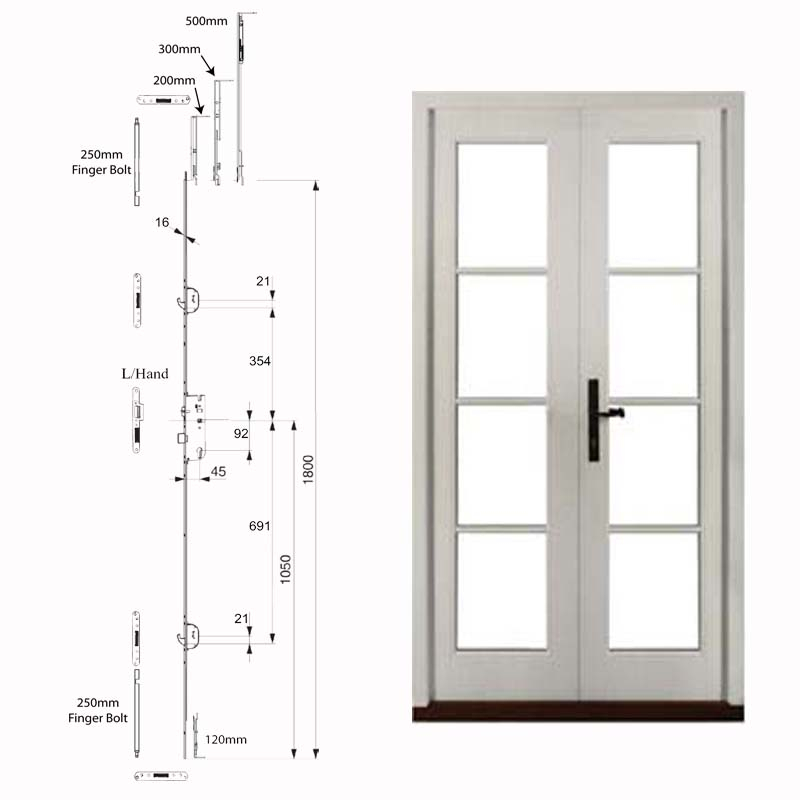 In the table are shown the components required for this type of door operation. The drawing above shows a Left Hand latch keep to help you decide which you require.